We answer your questions about the EU and give you information about the EU such as how it affects us, your rights as an EU citizen and what opportunities there are for living, working and studying in Europe. All our services are free of charge. The centre regularly organises events on EU topics and also attends many events with information stands. We also provide services to schools and colleges which includes workshops and publications in bulk. 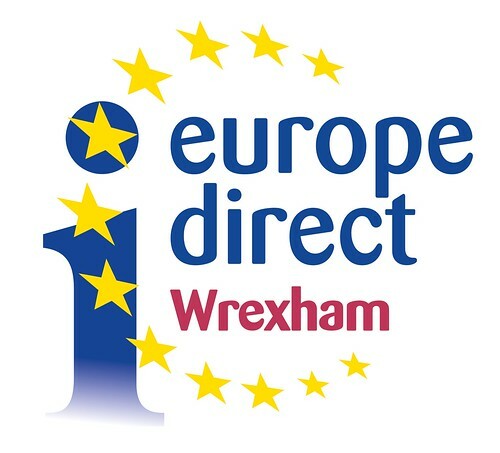 We are based at Wrexham Library and have a wide range of free publications about the EU. These include funded opportunities for students and work experience abroad, to what the EU is doing on climate change, humanitarian aid, and information on member countries. We also have a collection of books about the European Union. These cover a wide range of topics such as the workings of the EU, EU Law, Education and statistics. These books can be loaned from the library for free.